The terrorist attacks that took place on March 22 in Brussels, the “heart of Europe”, killed over 30 people and injured more than 200. Barely half a year after the attacks in Paris on Nov. 13, Europe was suffering another round of major terrorist attacks. If what happened in Paris seemed merely an isolated incident, then the Brussels attacks fully testified to the fact that Europe is now facing a new wave of terrorist attacks. 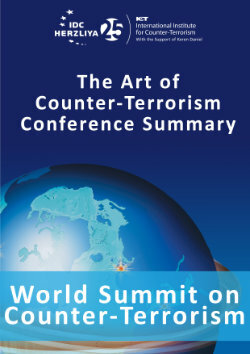 Since 9/11, Europe has actively participated in the US-led global fight against terrorism. As a result, many places in Europe were targeted by international terrorist organizations led by Al-Qaida and their followers and imitators. The Madrid train bombings in Spain on March 11, 2004, the London underground attacks on July 7, 2005, and the plot to attack six large passenger airplanes that was foiled on August 10, 2006 by the British police are just a few examples. In recent years, however, as the Al-Qaida network shrinks, its capacity to launch attacks in Europe has also diminished. In the current wave of terrorist attacks, the Islamic State (IS) has replaced Al-Qaida as the new key player. With limited information available so far, it is still too early to conclude whether the Brussels attacks were revenge for the arrest of Salah Abdeslam on March 18, a desperate act of terrorists to bring their planned attacks forward due to the arrest, or a revenge against Belgium for its counter-terrorism policy. But the link between the Brussels attacks and the Paris attacks is obvious. Most media outlets and politicians reacted to the attacks by deploring the brutality of the terrorists. Very few people reflect on the underlying cause of the tragedy and wonder why Europe becomes the victim of the latest wave of terrorist attacks. If we look a bit further into the past, it is fair to say that what happened in Europe is the collateral damage of the 2003 Iraq war. Though France, Germany and a few other “Old Europe” countries were fiercely opposed to the US invasion of Iraq, they failed to stop the American and British troops from invading Baghdad. While overthrowing the autocratic regime of Saddam Hussein, the war also released the genie of Sunni-Shiite rivalry in the Middle East, and provided a breeding ground for the IS. A review of the near past shows that the new wave of terrorist attacks in Europe is the bitter result of its irresponsible policies during the Arab Spring. After the outbreak of the Arab Spring, European countries used labels like “democracy”, “autocracy”, “progressive” and “backward” in an irresponsible manner and went out of their way to support the opposition parties in the Arab world. In Libya, they even employed military means to directly overthrow the Gaddafi regime. In Syria, they have supported various opposition factions in an attempt to remove the Assad regime. To their disappointment, things have not turned out as they had wished. Regime changes in Egypt, Yemen and Libya all triggered, to different degrees, social unrest that has provided breathing space for international terrorist forces and allowed some new jihadist organizations to germinate and grow. The civil war in Syria in particular has given rise to a two-way flow of people. On the one hand, large numbers of Syrian refugees flock to European countries via Turkey and Greece. The number has exceeded 1.3 million so far. On the other hand, numerous European extremists, inspired and incited by the IS, have moved from Europe to Syria to participate in the war. It is estimated that by December 2015, more than 5,000 European extremists had arrived in Syria for the war, and over 70% of these people were from France, the UK, Germany and Belgium. Compared with the US and other countries, Europe remains a weak link in the international fight against terrorism. First, there are many Muslim communities in Europe that have yet to integrate into Western society, and these Muslim communities offer extremists convenient places to hide and to and enlist sympathizers and supporters. Salah Abdeslam, who was arrested by the Belgian police on March 18, had hidden in such neighborhood for four months, for instance. Second, European countries are separated from the turbulent areas in the Middle East only by the Mediterranean. Geography makes it easy for jihadists to infiltrate into Europe by travel, smuggling or other channels. Moreover, after 9/11, though European countries are on heightened alert against terrorism, they lag far behind the US, Israel and many others in terms of overall input in combating terrorism. When it comes to terrorist forces who are so near and so desperate, European countries’ fragility is self-evident. To European countries that have suffered a setback in the integration process, experienced sluggish economic growth and are plagued by the refugee problem, the Brussels attacks no doubt meant a heavy blow. Nevertheless, if European countries fail to reflect on the root cause of the terrorist activities, or fall into the vicious cycle of violence and xenophobia, they face even more tragedies in the days to come. Let us pray for Europe and hope that the European leaders and people will emerge from the current crisis stronger, wiser and more sensible. Associate professor of international studies at the SASS, is currently director of the Security Studies Program at the SASS Institute of China Studies.